Keeping young people away from the juvenile justice and adult criminal justice system is of the utmost importance. People who get into trouble with the law at a young age are at significant risk of having run-ins in the future. Young people – more often than not – do not understand that their choices can have a lasting impact on the course of their life. Education is one of the most effective ways of deterring young people from making risky decisions and helping them stay on track. The 'Scared Straight' program targets juvenile delinquents or children at risk for criminal behavior and brings them to see the inside of a prison, according to the U.S. National Library of Medicine. The goal is that when young people understand what life is like on the “inside,” they will be deterred from future offenses. However, there is a large body of research that calls into question the efficacy of scaring children into obedience and compliance. Toward the end of July, prosecutors working within the Riverside District Attorney’s Crime Prevention Unit held a 5-day program to raise awareness about what happens within the criminal justice system, Desert Sun reports. The Law and Leadership Academy, created by Amy McKenzie in 2016, takes a different approach than Scared Straight to prevent youth crime. Instead of singling out kids who are at risk of trouble, school counselors choose students who will participate in the program because they have expressed an interest in law enforcement. McKenzie believes crime prevention can be achieved through education and community outreach. “Community outreach and crime prevention go hand-in-hand. We feel the more transparent our office is to the community and the more we get our message out there helps deter crime,” said McKenzie. The Center for Juvenile and Criminal Justice reports that the felony arrest rate for youth ages 10-17 was 271 per 100,000 in Riverside County in 2016. The Department of Juvenile Justice reports that within three-years, 74 percent of youth arrested in California are rearrested. Prosecutors Mike Tripp and Hawlee Valente say that the academy is about more than getting young people excited about careers in the field of criminal justice. The goal is that participants will share their newfound wisdom with their peers back in school. “Our hope is that they act as little ambassadors. Because not everyone gets to do this; there are adults who never get to see the inner-workings of the criminal justice system. They take this back to their school and back to their family and they get a completely different view,” Tripp said. Please contact The Law Offices Katie Walsh if your son or daughter is facing legal troubles. Attorney Walsh has extensive experience if the field of juvenile justice and will advocate for your family to achieve the best possible outcome. People who serve time in California correctional facilities, whether they be adult or juvenile, often learn all the wrong lessons from their cellmates. It is not uncommon for people convicted of crimes to get out of jail and go on to commit more severe offenses. Of course, learning about new ways to break the law is not everyone’s lot; some people use the opportunity of confinement to learn from their mistakes and reinvent themselves. Men and women who do time have a high likelihood of recidivism. It makes sense; people often break the law because they haven’t the resources to get ahead in life. Such individuals learn how to make some extra cash nefariously from their peers; they also learn how to comport themselves on the street—even using violence when necessary. Learned behaviors can have a lasting impact on young people’s lives, and they often lead to going in and out of jail over-and-over again. However, if juvenile inmates are provided with educational resources, they have an opportunity to break the cycle of incarceration. In fact, 14 inmates at the Ventura Youth Correctional Facility in Camarillo are taking the opportunity to learn valuable skills that may keep them off the streets and into stable employment, USA Today reports. What’s more, the young people’s instruction is coming from an unlikely place, a group of inmates serving time at San Quentin. 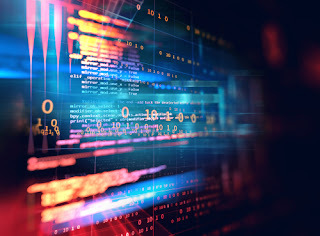 Chris Redlitz and Beverly Parenti created the Last Mile coding program, two people familiar with the tech industry, the article reports. Chuck Supple, director of the state Department of Corrections and Rehabilitation’s Division of Juvenile Justice, was impressed by the Last Mile and took steps to incorporate into the Ventura Youth Correctional Facility. The Ventura Youth Correctional Facility in Camarillo could soon accommodate 48 students and actions are underway to introduce the program at other youth detention centers. Frankie Guzman, director of the California Youth Justice Initiative at the National Center for Youth Law, says that young people serving time are mostly taught skills for low-paying jobs. 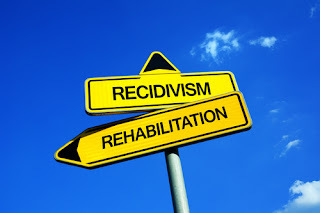 Educating young people in exciting fields can go a long way to reduce recidivism rates. According to Chuck Pattillo, general manager of the California Prison Industry Authority, inmates participating in joint venture programs, like the Last Mile, have a recidivism rate of 9 percent. Of the inmates not involved, 46 percent will return to prison after release. "This is not welfare or charity or rewarding bad behavior," said Guzman, an attorney. He adds that investing in these young people, "we are doing ourselves and our communities a favor." If your son or daughter is facing criminal charges, it is critical that you partner with an experienced attorney competent in the workings of the juvenile legal system. 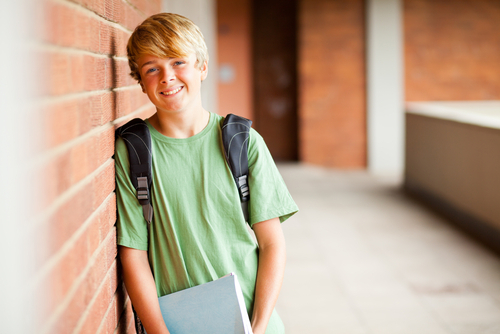 Seeking the assistance of attorney Katie Walsh gives your child the most favorable odds for avoiding juvenile detention. Please contact our office to learn more about how we can advocate for your family.